What a week! I was a little worried about getting in all my runs as we were headed to Durham, NC for my cousin Shawn’s wedding and I knew Tuesday was going to be a wash. Monday started off with a split shift workday and a lovely afternoon to get in some extra miles with Georgie before my own Fartlek workout. I finished off with a spin class for a day full of activities! Wednesday was our staff meeting so I took full advantage of my shorter break with a mile lunch run with Georgie then changed into run clothes under my work clothes so I could be out the door at 4:01 to squeeze in 4 miles before the sunset at 4:20pm. I had SO MUCH to do on Thursday before leaving for North Carolina and one thing on the list was my 12 mile long run. I had a hard time getting out the door and I didn’t want to waste time driving anywhere so I just ran around my neighborhood. 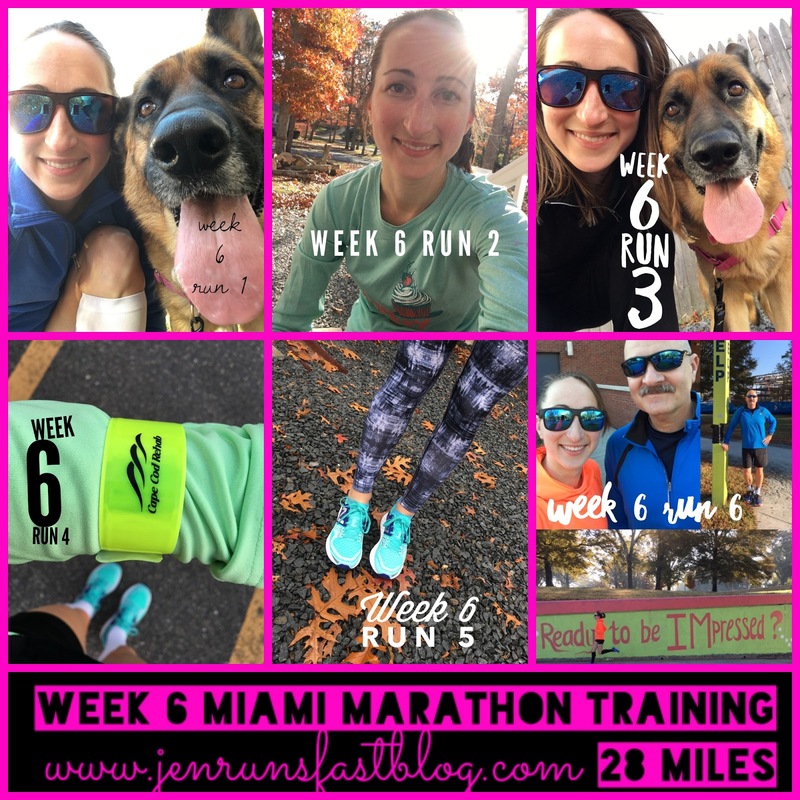 It was SO BORING but so much better than my first Miami training attempt at 12 miles during Week 2. Friday was a travel day with a horrible 2:30am wake up call! We landed around 8:30am and got to the hotel as most of the fam was waking up and getting ready for breakfast. We spend the day at a few breweries, visited the #1 ranked Mexican restaurant in Durham according to Yelp (Gonza Taco y Tequila) then met up with the wedding party for drinks before passing out as soon as my head hit the pillow. I was exhausted! Saturday morning my dad and I hit the path around Duke’s East Campus for an easy 4-mile run. We then took a tour of the main campus with Uncle Bruce as our guide before getting ready and heading back to the Duke Chapel for the ceremony. It was a beautiful wedding—Jessica looked gorgeous and everything went perfect for them. The reception was a blast as we danced all night long. Side note: I had 3 glasses of wine that night! Say whaaaat?! Sunday was pretty low key. We went out for brunch then found the Bills Backers bar in Durham to watch the Bills pull off a win over the Bangals. Some of the fam had to head to the airport after the game but we got in one final dinner with Uncle Daryl and Aunt Debbie. Overall a fantastic weekend! 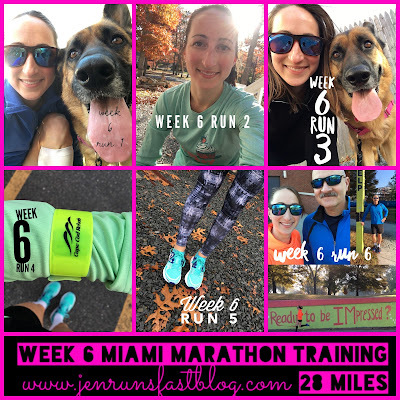 · 10 weeks until the Miami Marathon!